The safety of our employees, passengers and the general public is Metra’s top priority. Our ongoing efforts to improve rail safety throughout our system include numerous programs that incorporate the 3 E's education, engineering and enforcement activities. 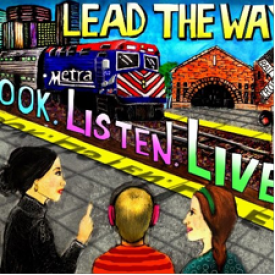 Metra’s Operation Lifesaver Station Safety Blitz Program is a part of our ongoing safety education efforts designed to enhance passenger awareness about the potential hazards of disregarding pedestrian railroad warning devices. About 50 stations are selected each year. A team of Metra Safety Department personnel, Metra Police and local police and fire personnel engage commuters by handing out printed educational materials explaining the importance of obeying railroad crossing warning devices and discussing general railroad safety.